Keeps your jewelry tarnish-free! 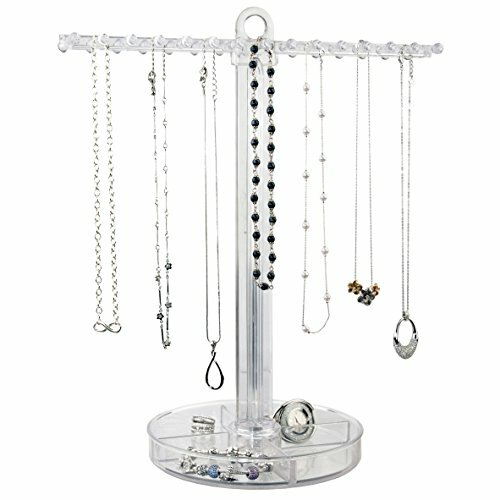 View your jewelry easily on both sides of the Jewelry Keeper. Securely organize your jewelry using 35 pockets of varying size and shape; all compartments easily zip shut. For travel, just, fold the Jewelry Keeper and drop it into your carry-on bag. 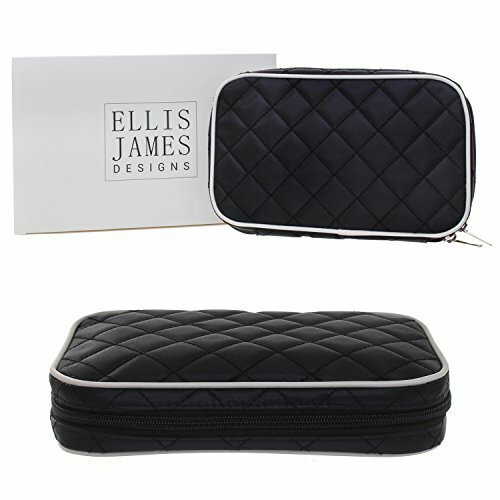 Folds flat (15" x 8") to fit standard size safety deposit boxes or carry-on travel bags. 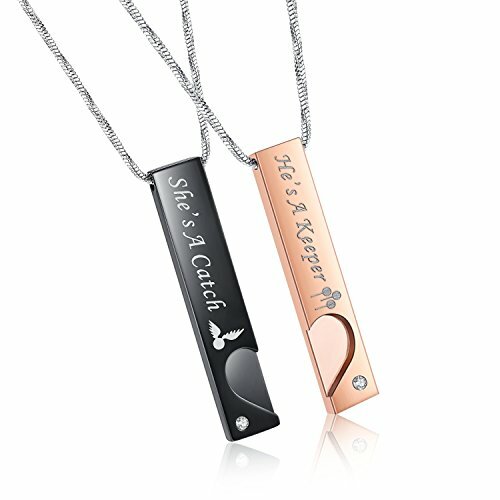 The Necklace section holds necklaces of varying lengths and styles; easily snap-open tabs keep your necklaces separated tangle free and secure. 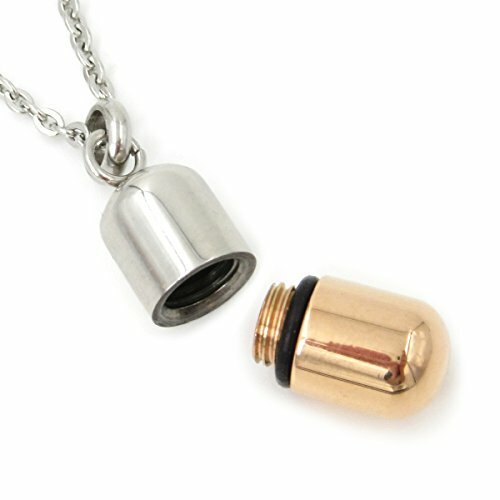 One stainless steel pendant necklace. 2 tone silver and rose gold. Screw openable small pill capsule design. Can store tiny things like small "secret" paper slip or cremains of beloved pet, etc. 8mm wide, 20mm tall. Comes with a 20" thin cable chain and a gift bag. 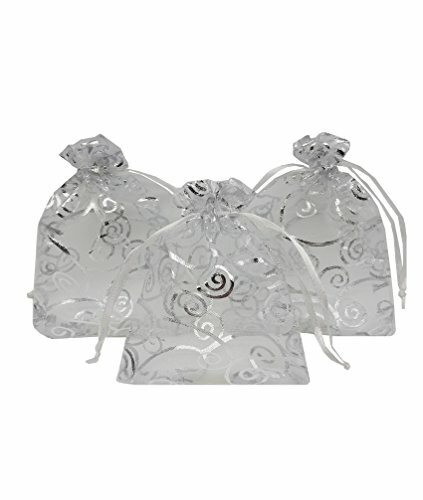 ** Please note that this item is not for holding medicines. .
HCD Refined by Honey-Can-Do STO-06386 Christine necklace Keeper, clear. 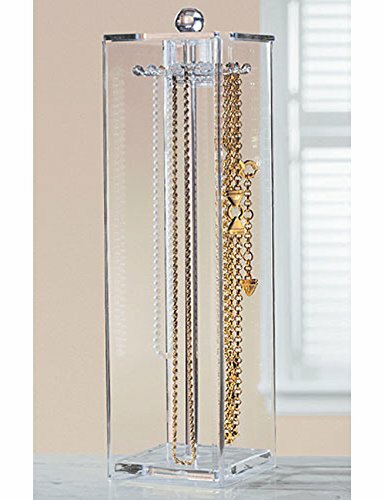 This acrylic necklace Keeper is a beautiful and sleek way to display your necklaces and bracelets, and can even become a display piece itself on your dresser or vanity. 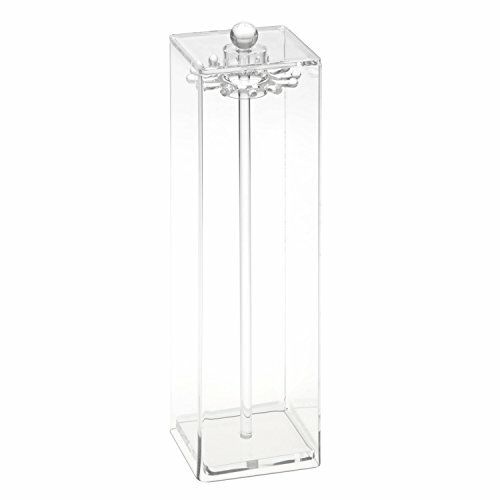 Made of high-quality, durable acrylic, the clear organizer allows you to proudly and neatly organize necklaces while preventing them from getting tangled. 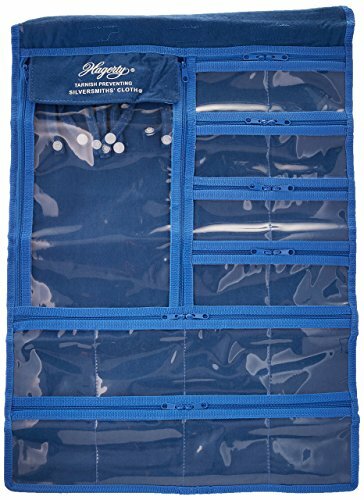 Clean with a dry cloth to keep your organizer looking sleek. Part of the Iced. Acrylic collection from Honey-Can-Do. * Come with a Beautiful Gift BoxStainless SteelStainless Steel has a shiny, mirror-like finish and is resistant to tarnish. Stainless steel does not rust or stain with water as ordinary steel does, will be very durable. With these great factors, stainless steel has become an increasingly popular choice for jewelry. Material :alloy size :16mm chain length:24'' ,color: silver package :gift bag The shiny silver pendant tray measures 16mm across. 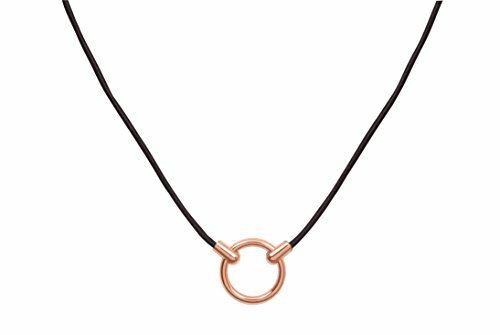 It comes with a matching 24" vintage style link chain necklace, ready to wear immediately. I will make the necklace when you purchase and mail within 1-2 days. 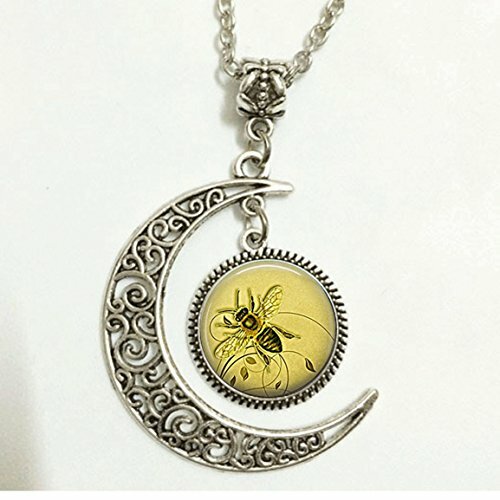 Copyright © Wholesalion.com 2019 - The Best Prices On Necklace Keeper Online.